Originally from London, England, Blackburn Golf founder Mark Blackburn arrived in America in 1994 on a college golf scholarship. After two years of playing college golf at The University of Mobile he was recruited to play golf for The University of Southern Mississippi. A multiple Lettermen and Team Captain, Mark received a BS in Exercise Science and Coaching in 1998. Upon completing his senior season Mark began a professional playing career. After 3 years of playing on the Hooters and mini Tours with inconsistency and injury, it was obvious game improvement was essential to reach the PGA Tour. What prevailed was the microscopic study of the golf swing, golf’s biomechanics and the game itself. Continual research and development of principles and ideas produced dramatic results in student’s performance. 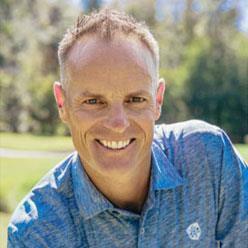 Mark’s game improvement saw him as an alternate in the 2002 US Open at Bethpage Park, followed by victories in the Dixie Section PGA and participation in PGA National Championships. Mark’s playing resume and communication skills drew attention to Blackburn Golf. Golfer’s sought the precision Mark could offer to their golf game. A PGA Member, TPI CGP LIII & GSEM Authorized Instructor of The Golfing Machine, Mark continues to work with golfers of all levels. Whether, a beginner or touring professional, developing a realistic stroke pattern based on an individual’s functional movement is the key to long term improvement. The interest in Blackburn Golf is continually growing with students travelling from across the globe to take instruction. Building better golfers based on what an individual can do biomechanically is the only way to long term improvement. The playing experience and knowledge Mark offers is unique to Blackburn Golf. One golfer at a time, Blackburn Golf will build a game suited to each individual student.